At Climate Care Air Conditioning & Heating, we specialize in residential air conditioning repair for homeowners in Highland Village, Texas, and throughout the North Dallas area including the cities of Coppell, Flower Mound, Highland Village, Irving, Lewisville and Valley Ranch. 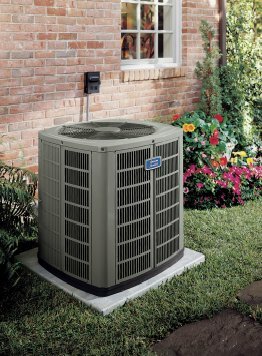 With over twenty years of experience in the North Dallas HVAC industry, we realize you have literally hundreds of choices when choosing your "AC repairman." What set us apart from the rest? Free Air Conditioning Repair Second Opinions in Highland Village, Texas, North Texas and the surrounding area. Climate Care Air Conditioning & Heating is also happy to provide free second opinions on major air conditioning repairs in Highland Village, Texas. This is a wise option to take before committing to a major repair expense. We will send out a highly trained, HVAC technician to perform a complete diagnostic on your AC system and then provide you with a competitive quote. Over the years Climate Care Air Conditioning & Heating is proud to have remained a leader in the air conditioning repair industry in Highland Village, Texas. We are a family-owned corporation whose focus is on providing fast, dependable service to our Highland Village customers. We are committed to fixing your system right the first time. Our technicians are dedicated to excellent customer service and making sure we exceed your expectations on every job that we perform. An air conditioning and heating system isn't just about compressors, heat exchangers and valves. It is about the upstairs bedrooms being the same temperature as the downstairs family room, fresh air in every room and not having to turn up the television when the air conditioning kicks on. It is about being able to depend on your air conditioning system to keep your Highland Village home comfortable all day long. Our team of professionals at Climate Care Air Conditioning & Heating will work with you from start to finish to ensure the HVAC system you choose is the most efficient and economical for your Highland Village home and your budget. Your comfort is important to us and the proper HVAC system can make a huge difference in the quality of your everyday life. Whether you are looking to replace an old unit or install a new air conditioning system in your Highland Village home, you deserve a company that will get the job done right the first time. A well maintained HVAC system is a crucial part of keeping your Highland Village home comfortable and energy efficient. At Climate Care Air Conditioning & Heating, our team of certified technicians are ready to install the perfect cooling unit that meets your efficiency needs and budget. Choosing to replace your HVAC system is by far one of the largest investments you make as a homeowner in Highland Village. It is not always easy to know whether you should repair or replace your homes air conditioning and heating system, especially if you are facing an emergency situation. Below we have provided some guidelines to help make your decision as hassle-free as possible. Installing a new A/C system means you are investing in the comfort, safety and efficiency of your Highland Village home. For over 23 years, Climate Care Air Conditioning & Heating has been committed to providing high quality work to homeowners in Highland Village, Texas, and throughout the North Dallas area. 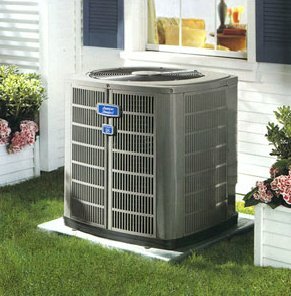 We are American Standard customer care dealers and are proud to remain the areas go to "AC company."